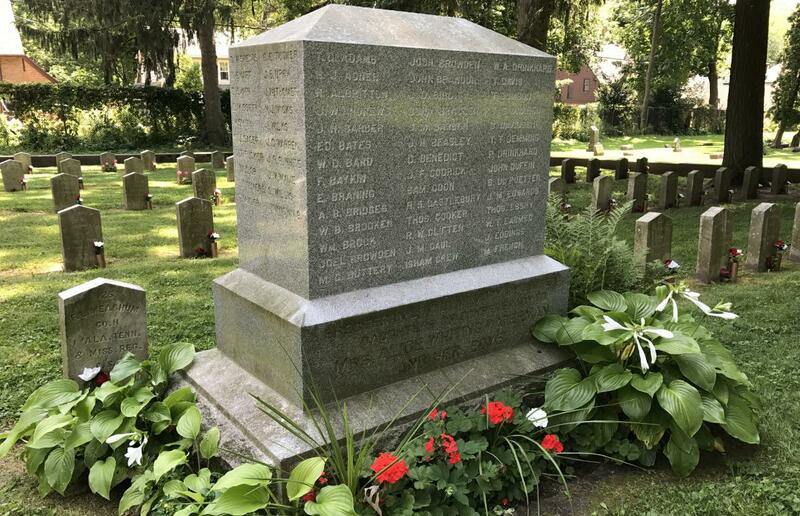 In Madison, Wisconsin, the city council has voted overwhelmingly to remove a cemetery marker noting the names of about 140 Confederates, most of whom died in a prisoner of war camp in the town. Liberals began by protesting statues in the South that honor Confederate soldiers. But of course it didn’t end there. This isn’t a monument celebrating the Confederate cause, it is a grave marker in a Northern cemetery. Where 140 Confederate soldiers are, I take it, buried. These are Americans who died as prisoners of war. “They die off like rotten sheep,” said a Union soldier who worked at the camp, where conditions were bad. The “monument” is a tombstone large enough to feature the names of each of the dead. This is not a statue of a Confederate war hero. It is simply a grave marker noting the names of POWs who died far from home. What is the point? Do today’s residents of Madison need to assure the rest of us that Wisconsin was on the side of the Union in the Civil War? I would have thought the Iron Brigade made that clear. It seems to be an expression of pure viciousness. There is no longer equality before God of the fallen, not in Madison, Wisconsin. The city council spits on these dead men, who passed away not in combat, but in Union custody. When you try to gain political capital by waging war on men dead for over 150 years, you are a ghoul. Yet these same individuals, doubtless, proclaim themselves champions of tolerance. Champions? They prove by their actions that they spit on the concept of tolerance. These people have turned their backs on common, human decency. One of my favorite lines is from Dickens’ “A Christmas Carol”. It is “I’ll retire to Bedlam” (That is, St Mary of Bethlehem Insane Asylum). I interpret it as meaning that if everything I see around me represents reality/sanity then I would prefer to be with the those judged “insane”. Rather than be in Madison, I’ll retire to Bedlam. Oh…wait a second. Madison Wisconsin. The birthplace of Freedom From Religion. You know! That bunch of misfits that try tearing down the Crosse’s affixed to public places around our country. I’m trying to remember the name of the Hill where the forest department sold a small plot to a group of good Americans to keep this demonic Madison group from ripping down a concrete cross dedicated to veterans. It worked! Now these thug’s are at this again? In their own backyard. This has also been done in Boston. A modest grave marker, listing the names of 13 men, on an island requiring a 40 minute boat ride from the city, was deemed racist and offensive. https://www.universalhub.com/2017/our-lone-confederate-memorial-put-under-wraps. I have always been struck by a plaque in the chapel of New College, Oxford. It was placed there in 1921. It is that generosity of spirit of MPS that shows Man at his best. These men were Americans, however wrong-headed the cause they fought for. More to the point, they were victims of inexcusable neglect by a nation that had the wealth and infrastructure to treat them reasonably well, but decided not to. Andersonville was the worst of the camps, to be sure. But the South often had a hard time feeding their own fighting men–and even civilians–with a broken economy, devastated infrastructure and lack of wealth. There were more excuses for what happened there. The action by the Madison Maoists is sheer inhuman nastiness. I hope that decades hence someone takes a sledgehammer to the grave markers of all sixteen of the vicious people who supported this action.